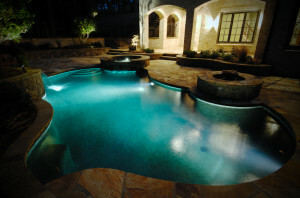 In Coral Springs, FL we have a very nice and hot summer, why don’t take advantage of that to keep our pool warm? The solar pool cover it is made to be placed on the surface of the pool water to keep your pool heated and protected. Usually made of a plastic film of polyethylene with UV treatment against ultraviolet rays, the solar pool cover can increase your pool temperature by 15 degrees. The solar pool cover in a heated pool it is very helpful because it does facilitate the pool cleaning and maintenance, also reduces the consumption of electric energy spent by the heating system and water consumption (because of evaporation). Saving water because it prevents a lot of water loss by evaporation. Also reduces the proliferation of algae in the pool, it drastically reduces the brightness that the pool gets. The main disadvantage of the cover it is removing it and put it back in the pool, even with a reel cover it can be very exhausting if the pool in question has large. You also should have a place to store the cover when it is out of the pool to avoid any damage caused by the sun exposition. It will require some cleaning to avoid that dirty with some impurity as decanter or granular chlorine pool damage the pool.